CHAMPAIGN, Ill. - To some, an art museum may seem like an odd place to display comics. But to the co-curators of "Out of Sequence: Underrepresented Voices in American Comics," on view at the University of Illinois' Krannert Art Museum Oct. 24 through Jan. 4, it is a perfectly fitting venue for showcasing the creative talents of a wildly diverse collection of artists and writers - past and present - who've contributed to this popular form of visual expression. View a video with co-curators Damian Duffy and John Jennings. For those still having trouble connecting the frames in the curators' logic, co-curator John Jennings, a professor of art and design at Illinois, says, "The first problem is defining what you mean by art. "If you're talking about traditional fine arts, comics has traditionally not been thought of as fine art," he said. 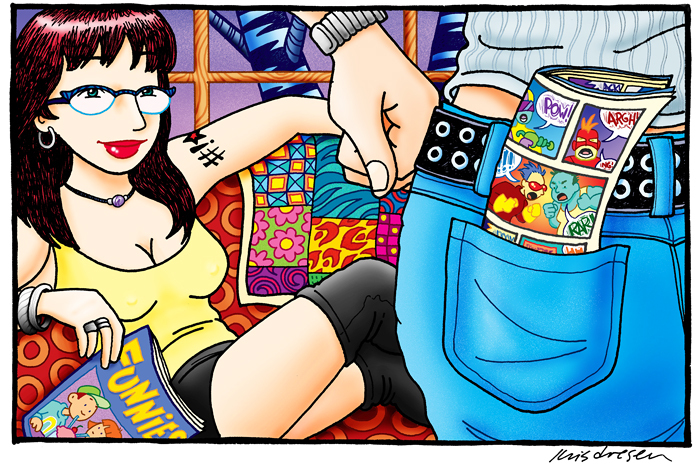 Instead, comics and other forms of sequential art have been regarded as popular culture - and most often, "they're just thought of as juvenile pop culture." Besides bumping imaginary borders in people's minds regarding what is or is not art, the curators were intent on organizing an exhibition that dispels other myths. Most notably, that comics are the sole domain of white men. "We're challenging (notions about) who creates popular culture as well," Jennings said. While he concedes that most "superstars of comics," particularly those whose work gained mainstream popularity in the 20th century, have indeed been white males, plenty of other voices have been there all along. 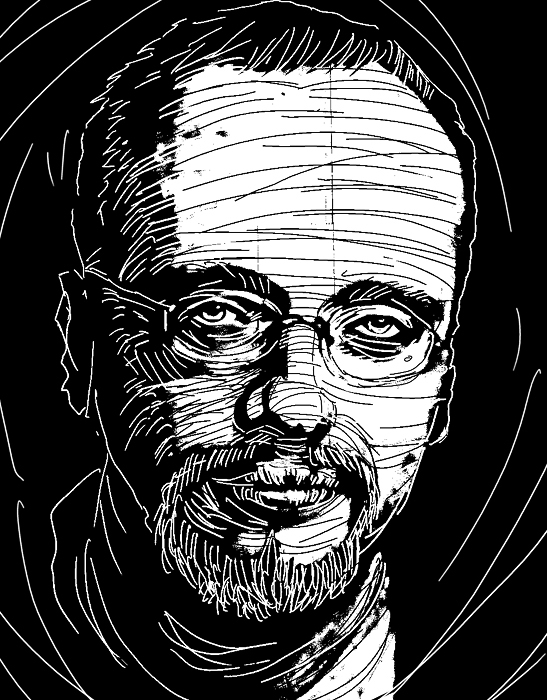 Jennings himself is a comics creator with co-curator and collaborator Damian Duffy. 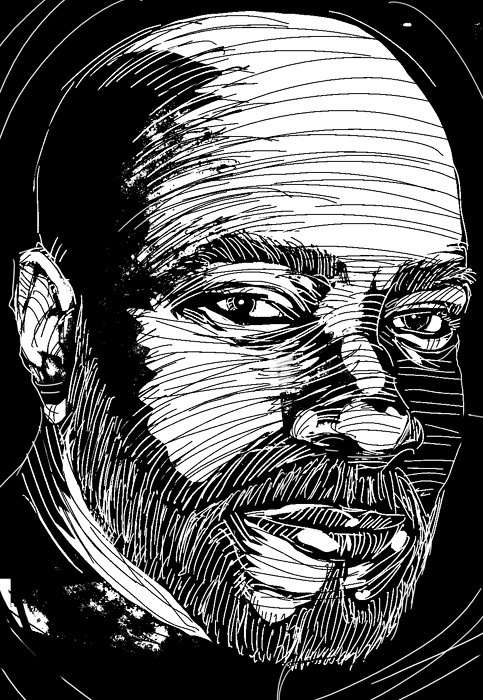 Jennings is the team's designer and illustrator; Duffy, a doctoral student in library and information science at Illinois, is the writer and letterer. They are collaborators in Eye Trauma, a Web-based collective of sequential artists, activists and curators who seek to expand the public's perception of the comics medium. The collective was founded by Jennings, Duffy and painter-illustrator Dann Tincher, whose work will be featured in the show. In one frame of a comics-style introduction in the full-color, illustrated catalog that accompanies the exhibition, Jennings and Duffy describe "Out of Sequence" as "a broad survey of women, small press, minority, independent, gay & lesbian, self published mini, underground, Web and/or gallery comics creators." More succinctly, Jennings refers to the exhibition's 65 contributors as "a rainbow coalition of comics creators." The 214 pieces in the show include actual comics, story boards, illustration panels, comics enlarged in poster form, Web comics, virtual installations and comics-inspired gallery art. The collection ranges from Ethel Hays' 1927 depictions of "Flapper Fanny," Elmer Simms Campbell's 1960s-era "Cuties" and Brummett Echohawk's 1957 and 1961 "Little Chief" comics to works by 21st-century artists such as "Nat Turner" creator Kyle Baker and contemporary artist and U. of I. alumnus Mark Staff Brandl. "Brandl is flying in from Switzerland, painting on the walls," Duffy said. "He's also going to use a magazine stand and put art in the stand. So he's using the cultural connotations of comics ... using comic-book covers remade into abstract art, and using the word balloon symbols in an abstract art work." Also included in the exhibition will be an example of Duffy's and Jennings' own work, from their 2008 graphic novel "The Hole: Consumer Culture." "Damian and I also did the principal design for the (exhibition) catalog, which is based off of the blueline pages that cartoonists sometimes use," Jennings said. "That's going to be extrapolated into three-dimensional form in the show. "This show, as far as we can tell, is unique both in the scope and the way we think about comics," Duffy said. "The idea of making the gallery space (into) an actual comic, making it tell a story in an abstract sense, hasn't really been done before." The curators noted that there was an earlier exhibition, organized in 2005 by the University of California's Hammer Museum, that served as the impetus for "Out of Sequence." That show, "Masters of American Comics," did establish a canon of comics masters, but presented the art with little context. In addition to featuring work by a roster of all white males - with one, disputable, exception - Duffy said, as the title implied, "it was more about the artists as masters, rather than the medium," Duffy said. "And it really had a limiting view of comics history." 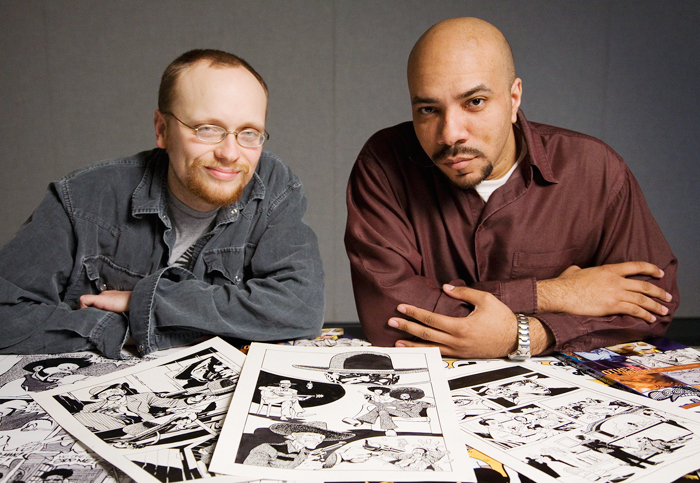 In response, he said, they first organized a much smaller show, "Other Heroes: African-American Comics Creators, Characters and Archetypes" in 2007 at Jackson State University as a sort of dry run for the current exhibition. They wanted to follow up with the more comprehensive "Out of Sequence," Duffy said, because "it seemed like this was an opportunity to really explode the notion of medium - to show what the potential of the medium was." Next year, the exhibition will travel to the Laboratory of Art and Ideas at Belmar (The Lab), Belmar, Colo., where it will be on view Jan. 28 through April 28. In addition, a smaller, related show featuring some of the art from "Out of Sequence" - titled "Comics, Heroes and American Visual Culture" - will be exhibited at the Flint (Michigan) Institute of Arts, Jan. 24 through April 26.
public opening reception for the Krannert exhibition is planned at the museum from 6-8 p.m. Oct. 23. Other associated events include "The Next Panel: Illinois Small Press Comic Expo," from 10 a.m. to 4 p.m. Oct. 24 and 25 at the museum; a gallery talk with the curators, at 5:30 p.m. Oct. 30; and another gallery talk, "Emerging Out of Sequence, Examining the Past and Charting the Future of American Comics," featuring comics creators Nancy Goldstein, Andrei Molotiu, Trina Robbins and Ashley A. Woods, 1-4 p.m.